Don't let a little rain ruin your hair! Add a hood to any coat with Hood To Go. Made in the USA! Rain happens, and where I’m from, more often than not. But who wants to be tied down by rain gear? 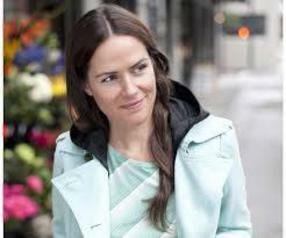 I’d rather brave the elements in style, and not waste a closet full of cute coats. My solution? 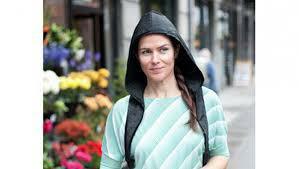 HOOD TO GO, a patented, stylish, water resistant hood that can be worn under any coat. 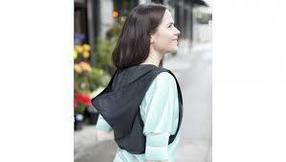 The hood is attached to a small, lightweight vest that is virtually invisible under your coat. Flip up the hood when you need it, flip it down when the sun comes out. No need for a rain hat or umbrella with Hood To Go. Silky soft, water resistant microfiber. Packed in a convenient purse size stuff bag. One size fits most. Basic black color. Made in Portland, OR.